As the National Democratic Alliance (NDA) government completes its current term ahead of the general elections to be held in 2019, it is time to evaluate its performance, especially in terms of the economy. 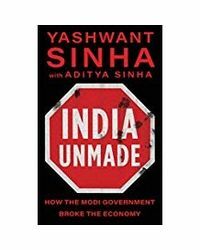 This book is a critical assessment of five years of the brand of economics Prime Minister Narendra Modi has championed, often referred to as 'Modinomics'. With the biggest political mandate in almost three decades, did the NDA government succeed in transforming India's economic trajectory for the better? Or, has its economic performance been a 'great disappointment'? The book conjectures it is the latter, and analyses why this is so. As the National Democratic Alliance (NDA) government completes its current term ahead of the general elections to be held in 2019, it is time to evaluate its performance, especially in terms of the economy. This book is a critical assessment of five years of the brand of economics Prime Minister Narendra Modi has championed, often referred to as 'Modinomics'. With the biggest political mandate in almost three decades, did the NDA government succeed in transforming India's economic trajectory for the better? 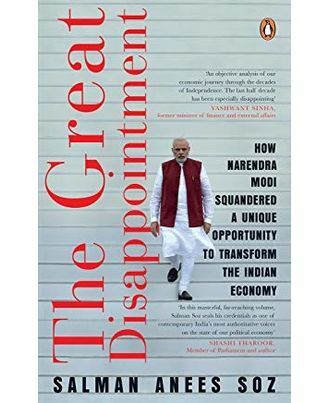 Or, has its economic performance been a 'great disappointment'? The book conjectures it is the latter, and analyses why this is so.